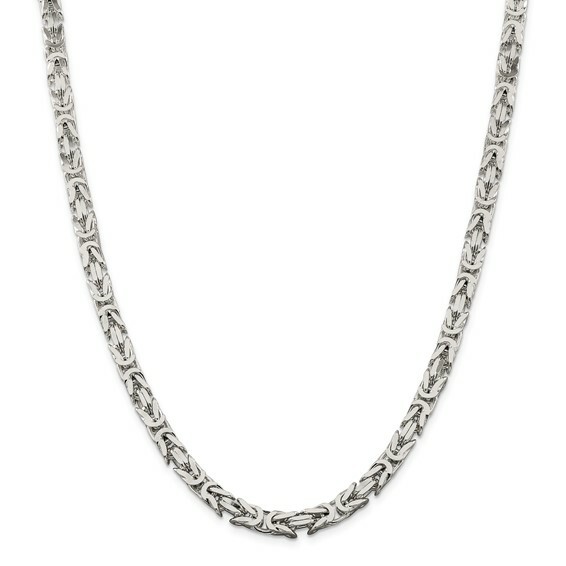 Sterling silver 20 inch Byzantine chain has a lobster clasp. Width: 8.25mm. Weight: 176.91 grams. Made in Italy.